Pre-season games don’t mean much, unless someone gets injured, which unfortunately happened on Monday night. 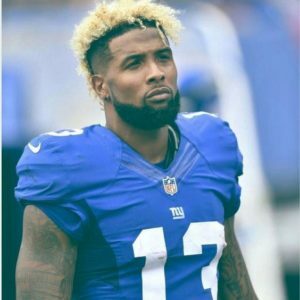 The New York Giants’ Odell Beckham Jr and Brandon Marshall both suffered what appeared to be minor injuries, but the team will access the severity when they return home. Beckham Jr limped off the field with an ankle strain and Marshall with a shoulder injury. Many fans are upset that the Brown’s Briean Boddy-Calhoun’s hit on Beckham was dirty and he should be fined. In other news from the Giants pre-season loss to the Cleveland Browns, 12 Browns players took a knee in prayer during the National Anthem. According to rookie Jabrill Peppers, “There’s a lot of racial and social injustices in the world that are going on right now. We just decided to take a knee and pray for the people who have been affected and just pray for the world in general.” Browns’ tight end Seth DeValve became the first white player to kneel. According to the Seahawks Michael Bennett, it would take a white player kneeling to change the conversation. No word on whether the players will continue to take a knee during the regular season.